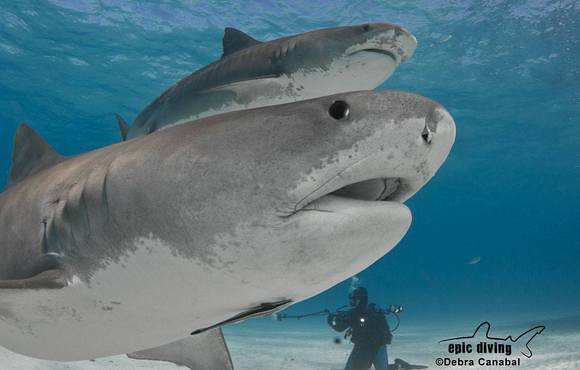 All Tiger Shark Expeditions are SCUBA only and guests will have up to 3 dives per day. 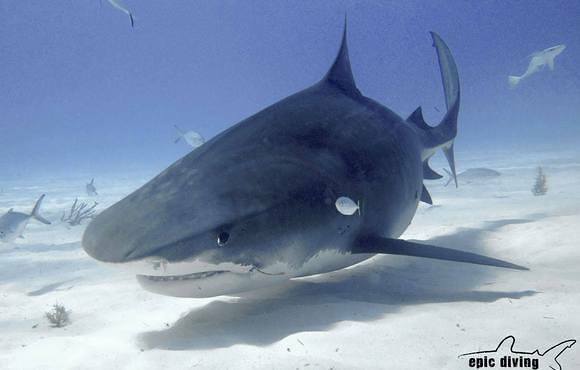 Depth varies but is shallow in general, and bottom times are longer. 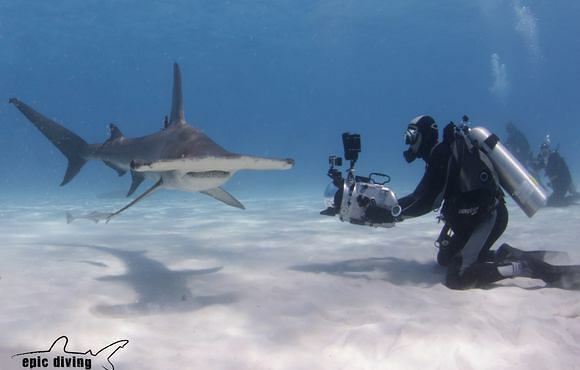 For the most part, divers will be overweighted and kneeling on the bottom. 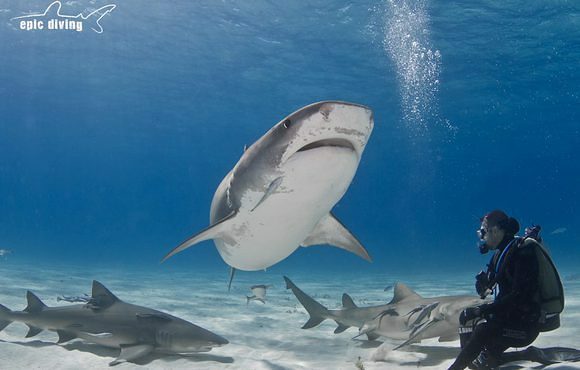 It's easy diving, so you can focus all your attention on the sharks surrounding you. 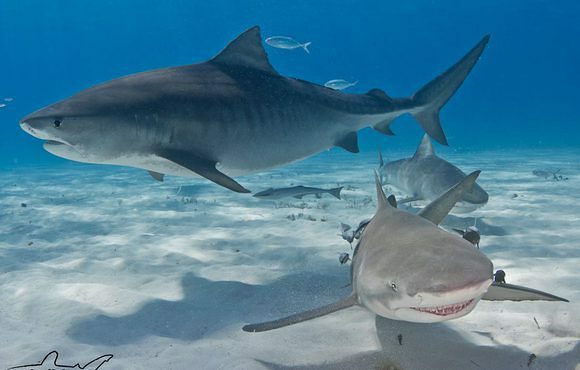 We will be in the water together as a group. 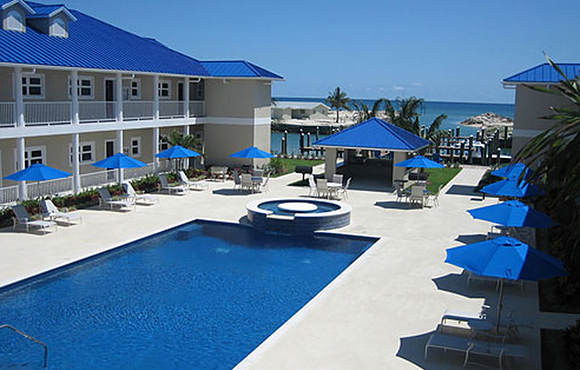 Sunday, Day 1: Arrive at Freeport, Grand Bahama Guests will take a taxi for the thirty minute ride to your accommodations. 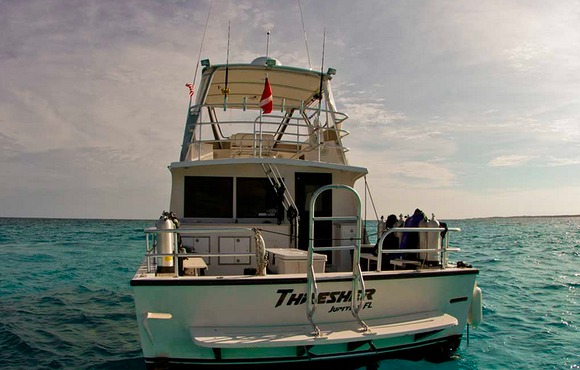 You'll have the day to relax, unpack, and get your gear ready....the adventure begins tomorrow. 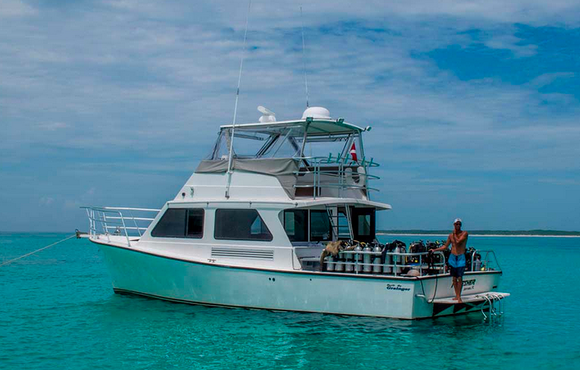 Monday - Friday, Days 2-6: Each days itinerary will be chosen by the group. 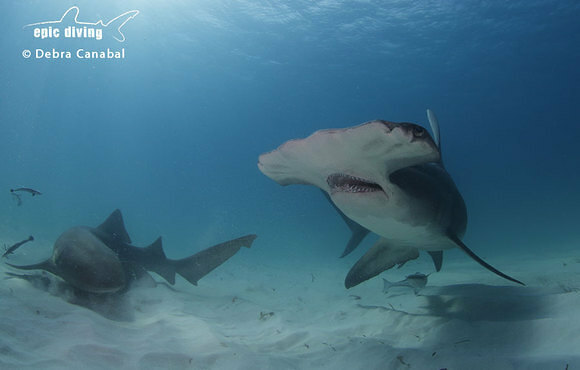 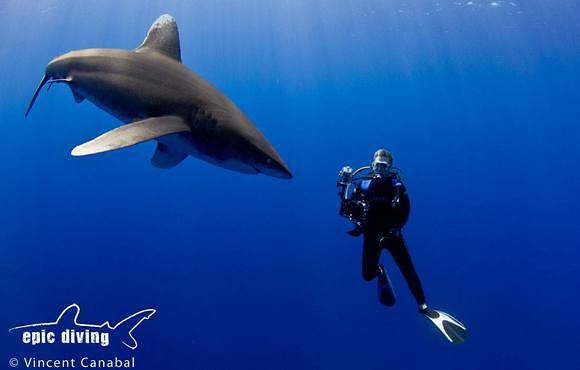 Our team knows the best areas to find a variety of shark species. 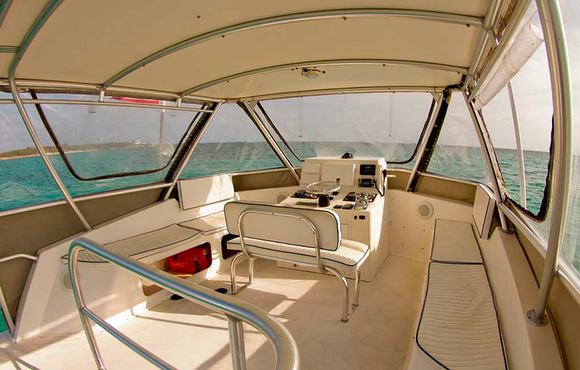 We'll board the boat early and usually stay out on the water all day. 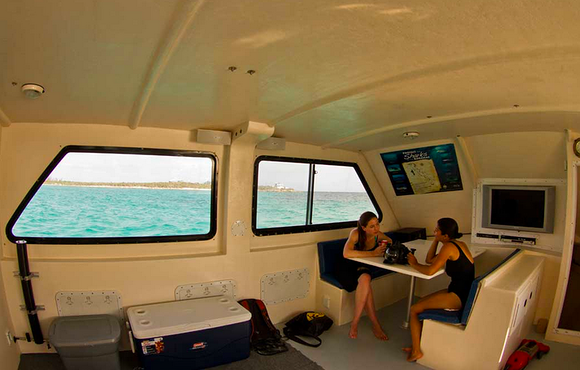 Check out our comfortable dive boat in the Gallery. 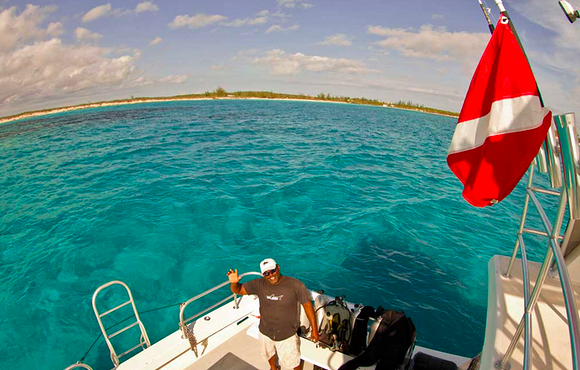 Saturday, Day 7: Departing Grand Bahama There are several daily flights leaving Freeport, Grand Bahama. 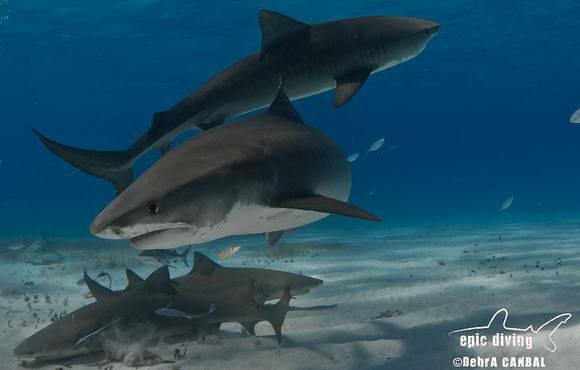 Most will leave on the earlier flight in order to make same-day connections on to their final destination. 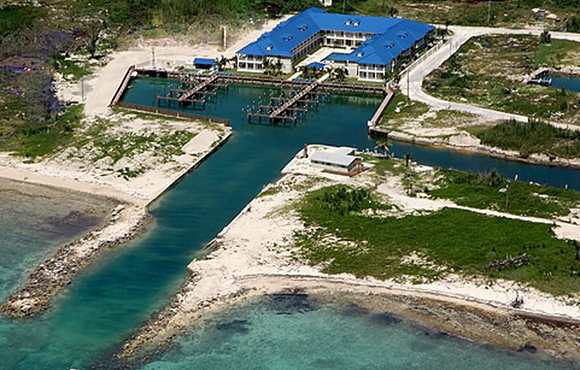 Your transportation will arrive at 7am to take you to the airport. 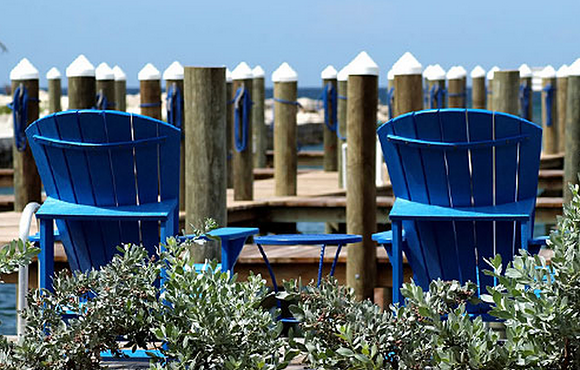 This marina resort boasts amazing apartment style accommodations with all the comforts of home. 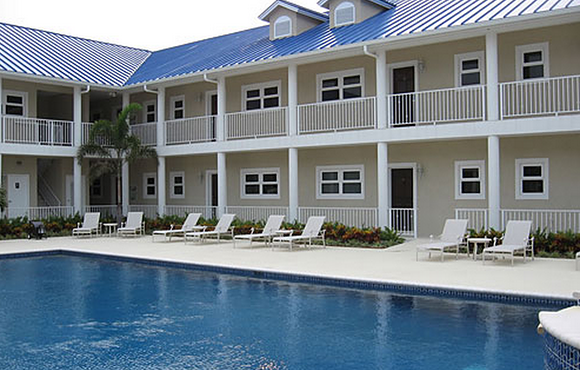 Each poolside apartment features two bedrooms, one single occupancy with a king size bed, walk in closet, and private full bathroom, the other is double occupancy with two queen beds, walk in closet and private full bathroom. 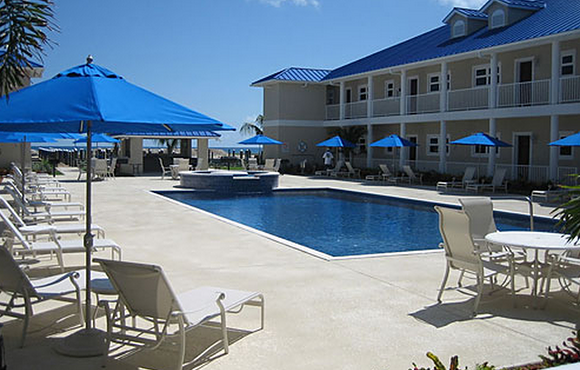 Three or four guests will share a fully furnished living room, full kitchen, half bathroom, and walk out patio. 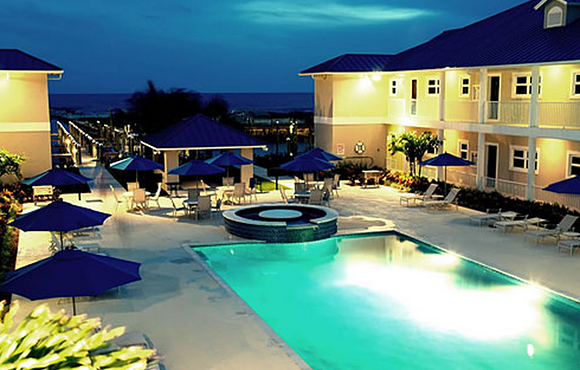 The pool is just outside the apartment and there is internet access poolside. 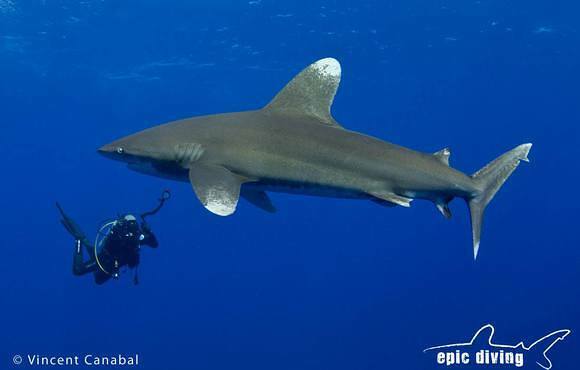 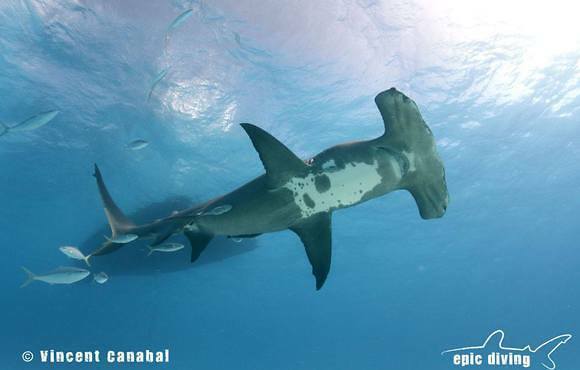 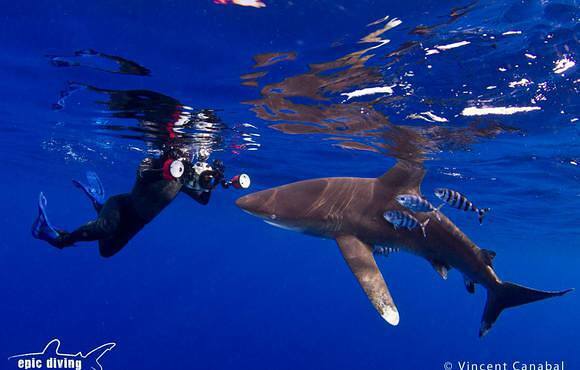 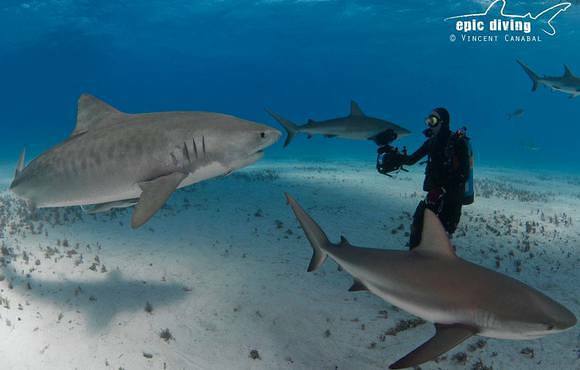 Are you looking for Tiger shark and Oceanic Whitetip diving in the Bahamas? 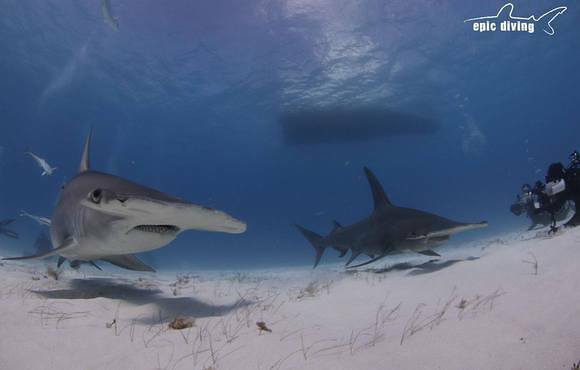 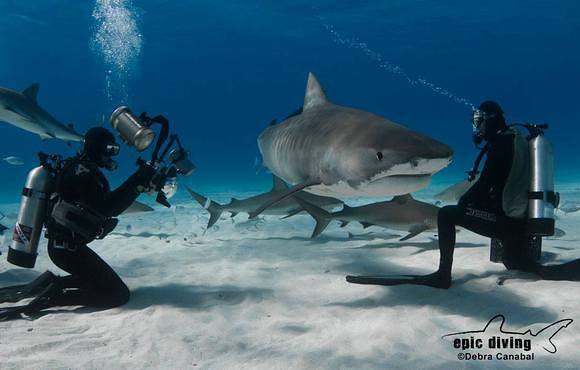 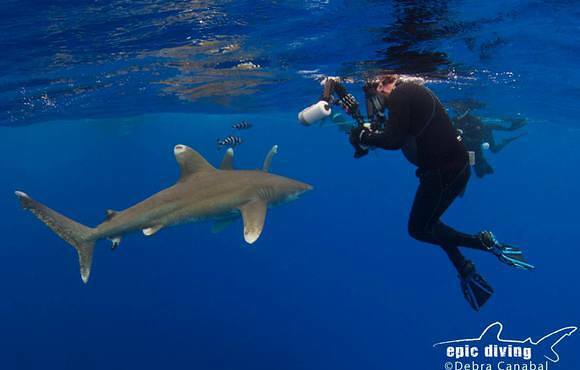 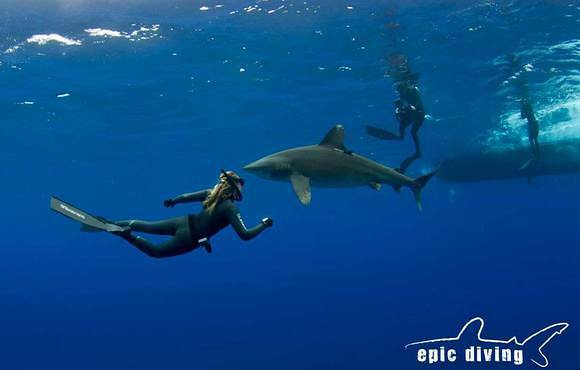 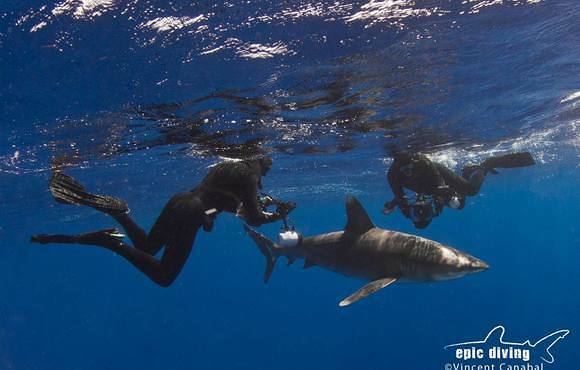 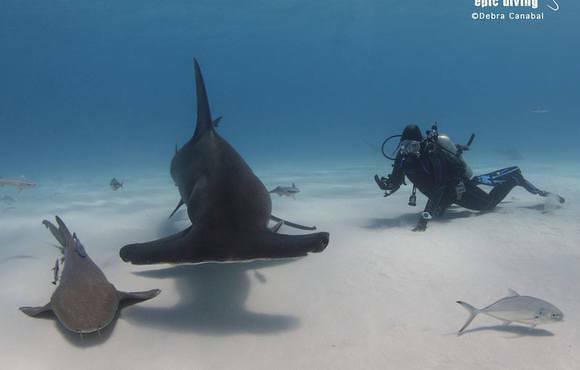 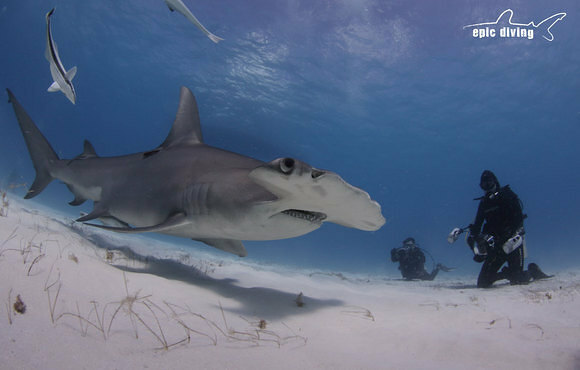 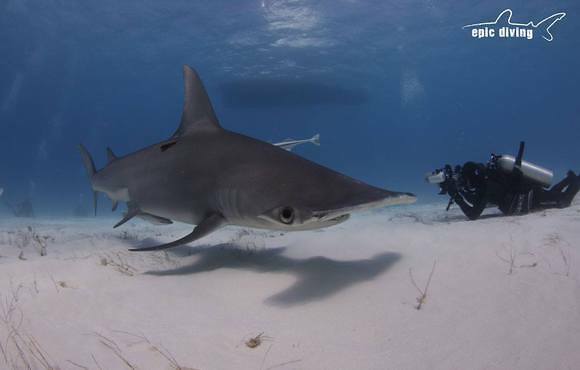 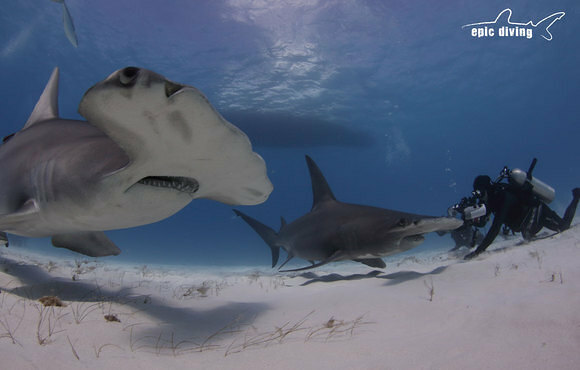 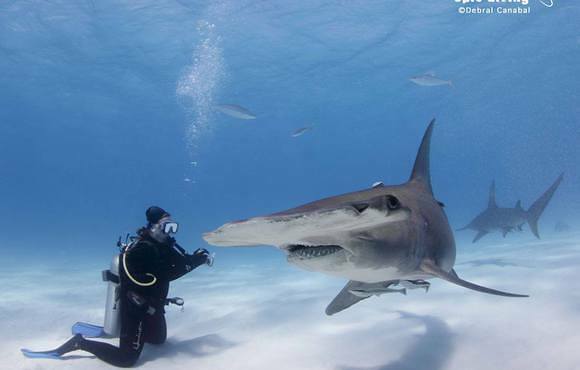 Epic Diving specializes in safe, up-close encounters with a variety of shark species throughout the Bahamas.